Terrified of School — Can you relate? This one’s for the kids. And the teachers. With kids back in class I wonder and worry… how many of them feel terrified of school? You are not alone if you’re having it rough at school. Hang in there. Have you checked out the ADHDKidsRock KIDS Section (click here)? There are so many things teachers can do to make life better for kids with ADHD in your classrooms. First — especially now at the beginning of the school year — is to get to know these kids who might be struggling with their ADHD. Find out what they like and who their friends are, then help them with those friendships. It’s often really hard for us to keep friendships at school, but having a few friends you can count on makes it easier to keep trying. Next, ask them to help you with chores and special assignment you would normally give the super good students. Make them feel like you care, that you are listening and that they are going to be OK in your class. It’s going to be hard lots of times because we we can be loud, busy, distracted and up to shenanigans. Try to look past the ADHD and see the kid inside that needs you. Try to look past the #ADHD and see the kid inside that needs you. 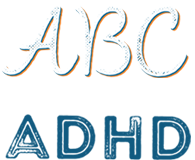 I’m working on developing flashcards for teachers that have fresh ideas for working with kids who have ADHD — in a format that easy for teachers to use in your classrooms. For now, teachers can find all kinds of ideas on my site, in the Teachers Section (click here).